Cosmic Girls' Xuanyi and Meiqi made the final Chinese 'Produce 101' team. On June 24, it was confirmed that Xuanyi and Meiqi will promote as the final lineup of 'Produce 101' in China. 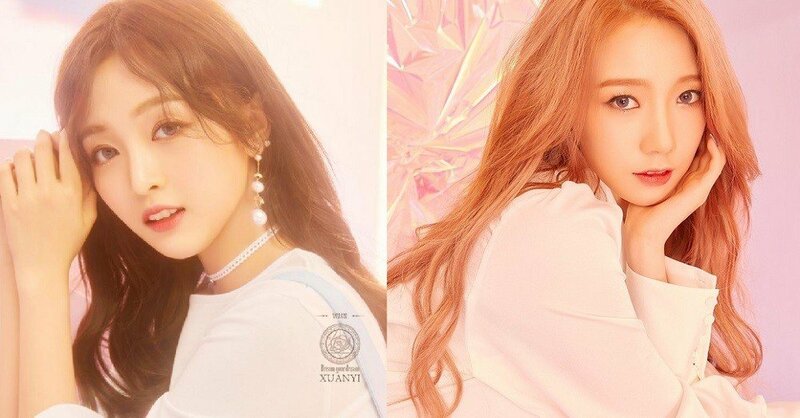 For approximately 2 years, the two members of the group will not be able to promote as Cosmic Girls. Accompanying the news, Seola of Cosmic Girls posted an old 13-member group photo on their official Instagram. Alongside the photo, the caption reads, "I support you sincerely. ? Fighting towards the end, as much as we tried our best. I love you." Fans speculate that the separation will bring significant changes to the group. Some netizens' reactions include, "Please don't leave...I will miss you too much.. OT13", "Not only an old photo but also a family", "Well hope after produce 101 China they don't ditch WJSN". ???? ??? ??? ???? ??? ??? ???. #?????? #???? #? ?